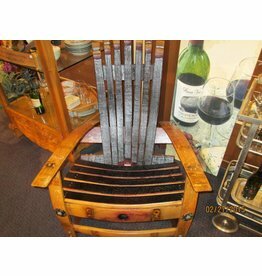 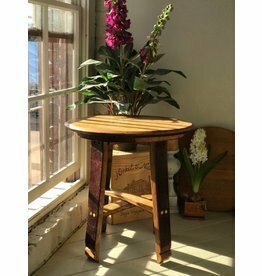 Constructed completely out of wine barrel staves, these chairs are individually made to your order by a local Napa Valley artisan. 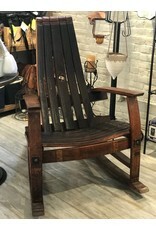 Because of their hand-made nature, each chair is unique and will vary slightly. 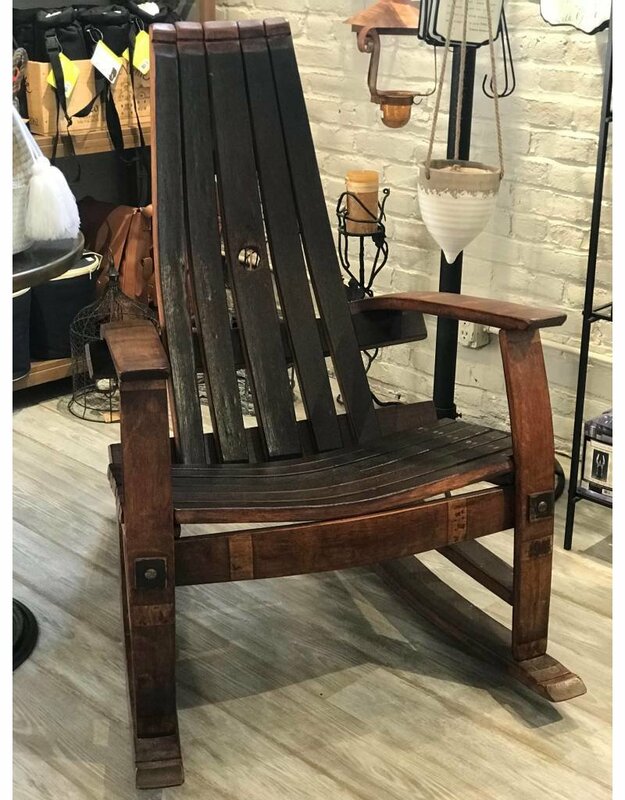 Approximately 43.5"h x 29"w x 42"d. Please allow 3-4 weeks for delivery. 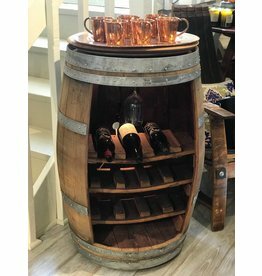 This rustic wine storage solution has room for 15 bottles and 9 hanging stemware glasses. 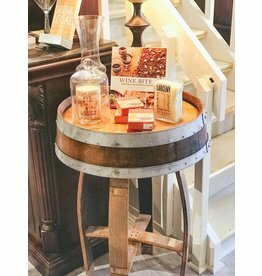 With it's built-in Lazy Susan top and furniture rollers, this conversation piece is both mobile and functional for any party.